Congratulations! You’ve found the one with whom you’ll spend forever––pop the champagne! As you embark on this season of planning, it is my hope that your love and commitment to each other remain at the center of it all. 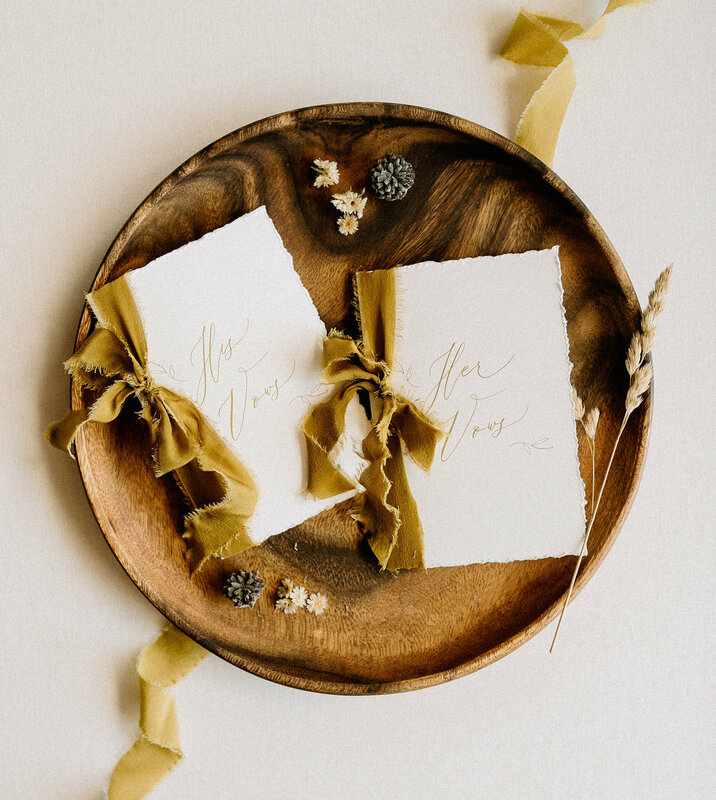 When it comes to wedding details (paper goods included), it’s important that they form a cohesive aesthetic that is a reflection of who you are as a couple. 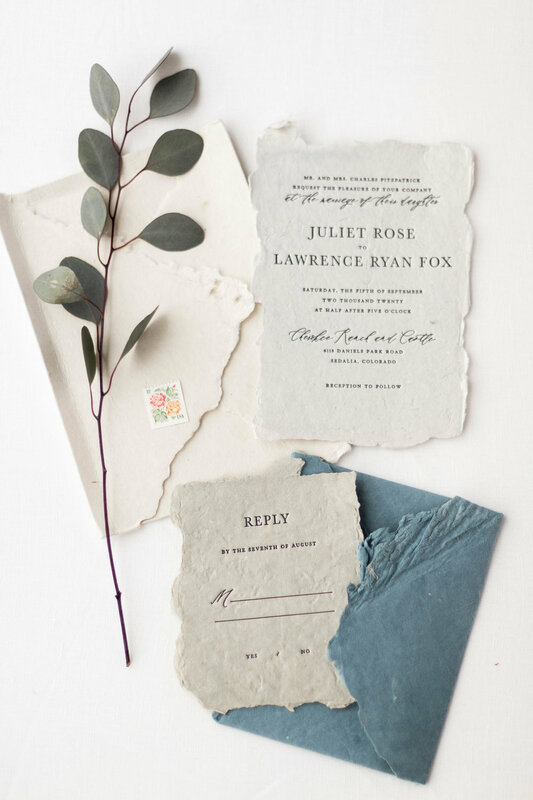 Consider your personal style and which elements or locations have played a role in your relationship; allow those to inspire your paper goods. 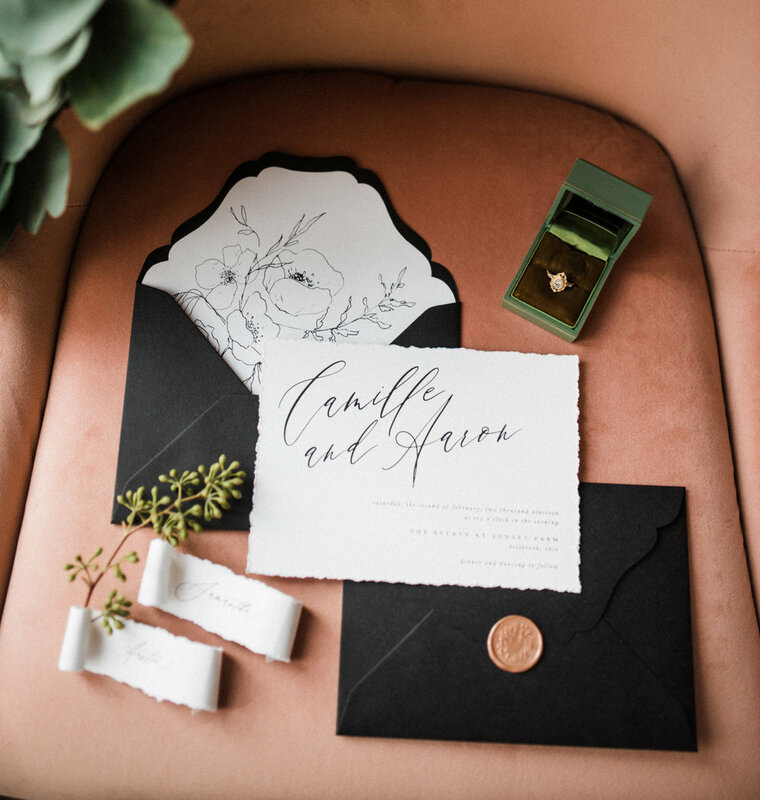 REMEMBER: Your guests will hold your invitation months before they lay eyes on your dress or enter your venue, so invest in that opportunity to connect with them and leave a lasting impression. 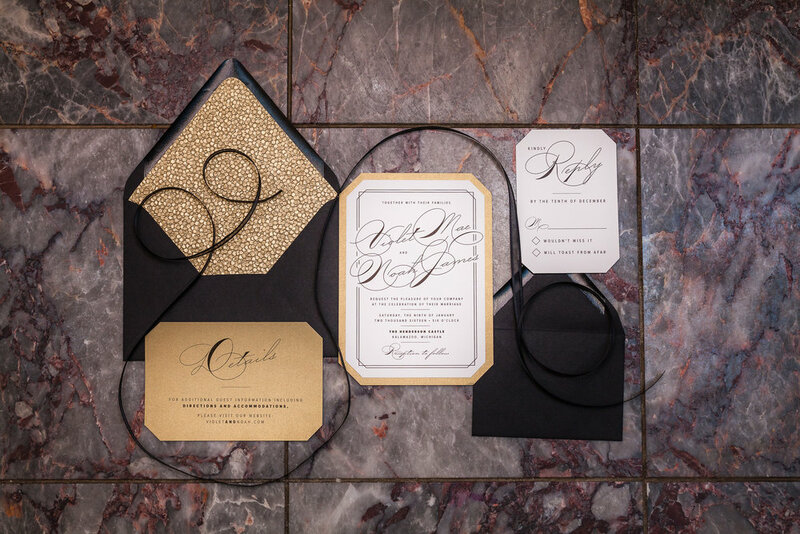 I offer custom save-the-dates, invitation suites, thank you notes, programs, place cards, menus, vow books, and more! I’ll design coordinating pieces to form a beautiful and cohesive style. From trends to etiquette, I know my stuff! 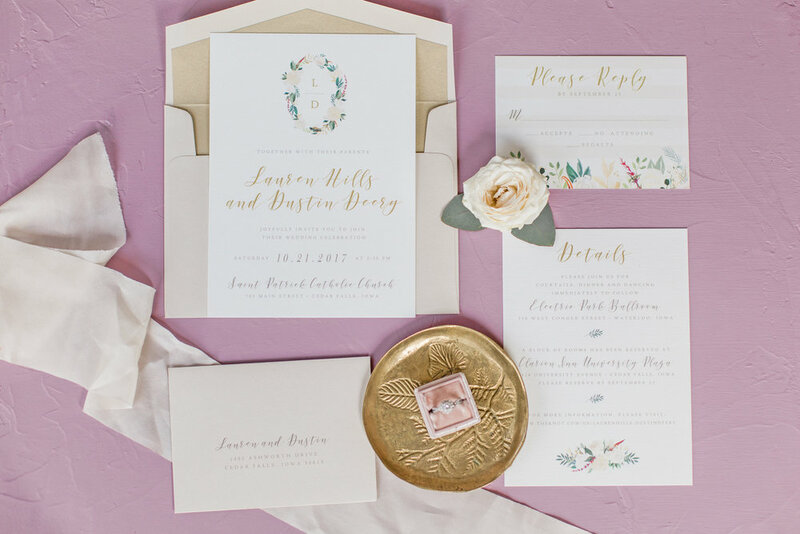 Based on your vision and budget, we will determine which printing method is the best fit for you: letterpress, foil stamp, engraving, thermography, or digital printing. 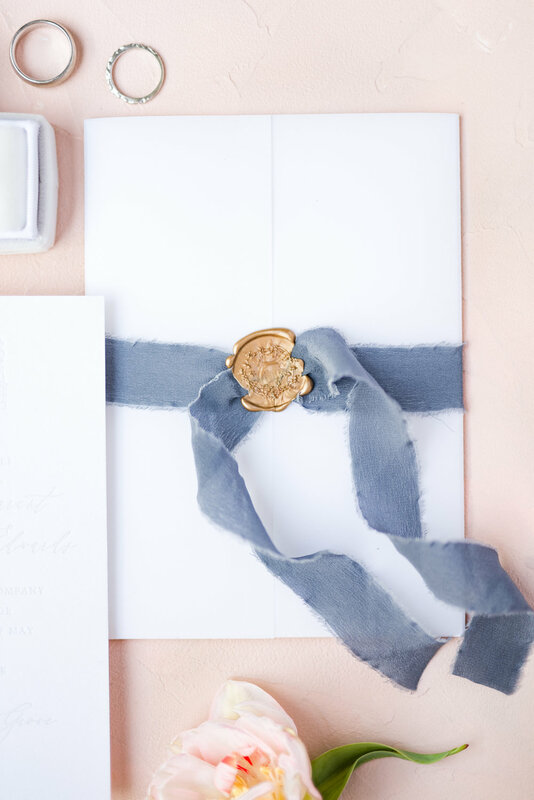 Elevate your suite with accessories and enclosure options like vellum bands, envelope liners, hand torn edges, wax seals, and hand dyed silk ribbon. 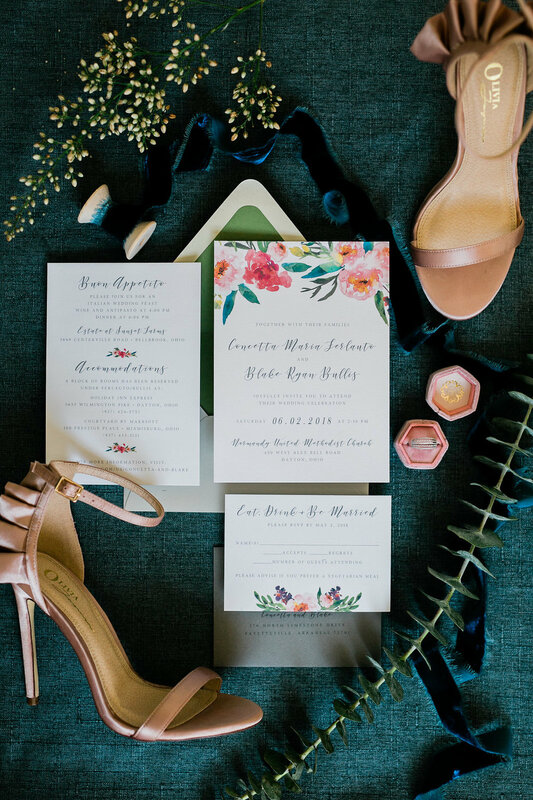 Whether you’ve been pinning wedding inspiration since before you were dating or you’re not sure exactly where to begin, I’m here to help. Feeling overwhelmed? I’ve created a resource just for you to help simplify the world of paper and etiquette. 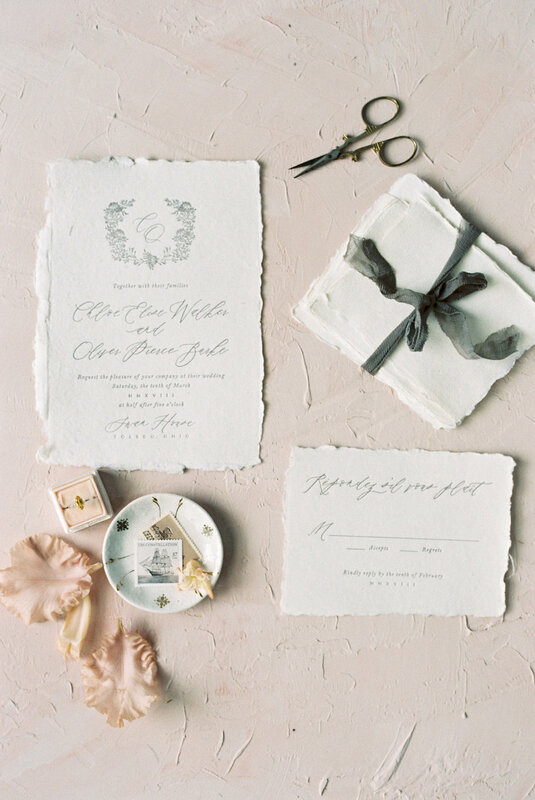 Email cat@beautifully-noted.com to request your free digital Beautifully Noted Bridal Guide. 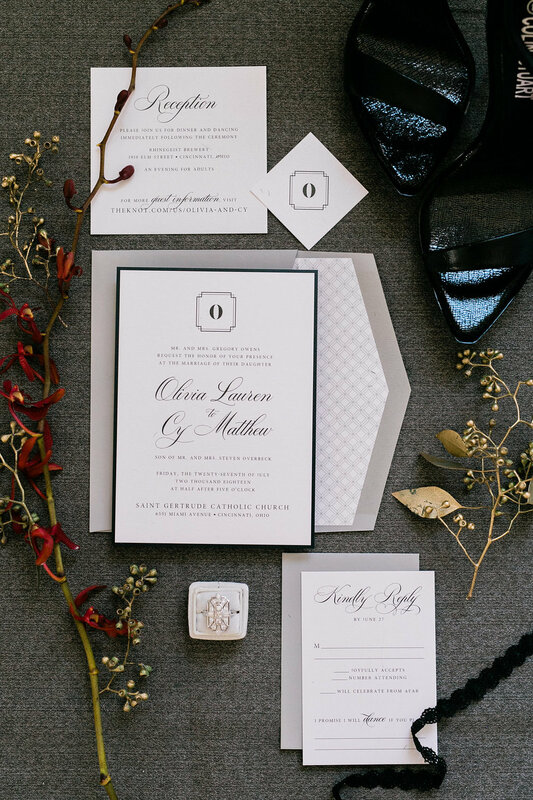 A moodboard (also called style board or inspiration board) identifies your event's unique style. It can include fonts, color palette, inspiration images, patterns, and textures. Pinterest is a source of so many beautiful ideas, but it can also be overwhelming. 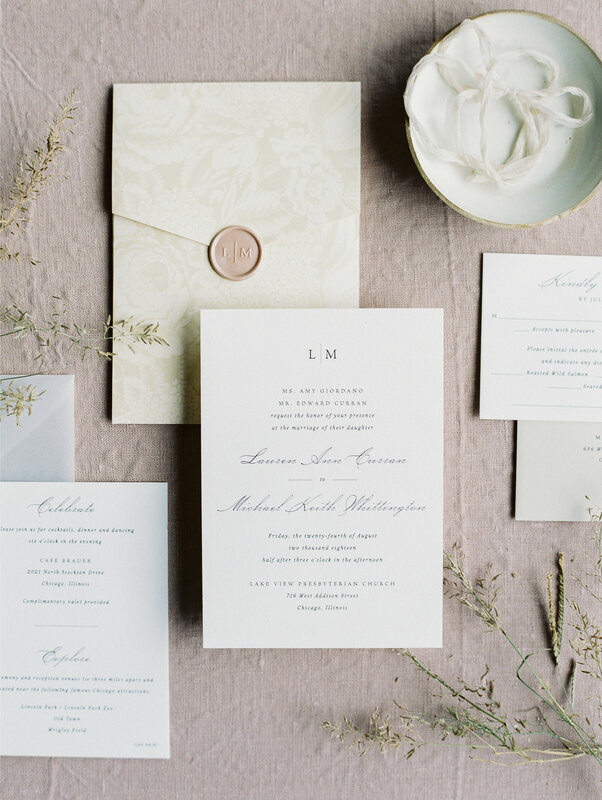 It's easy to pin a bunch of really beautiful things that don't achieve a cohesive feel when paired together. 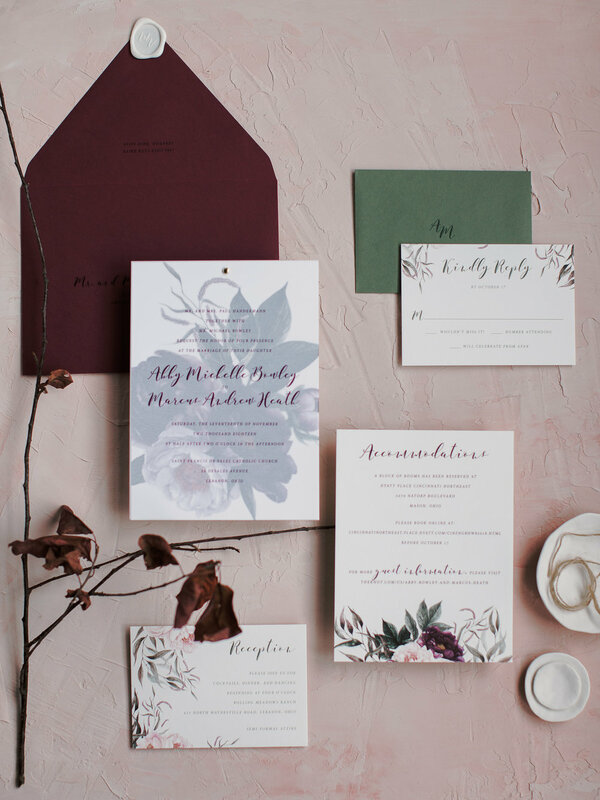 A moodboard is your wedding's visual guideline, and it will help you make decisions in other areas too! 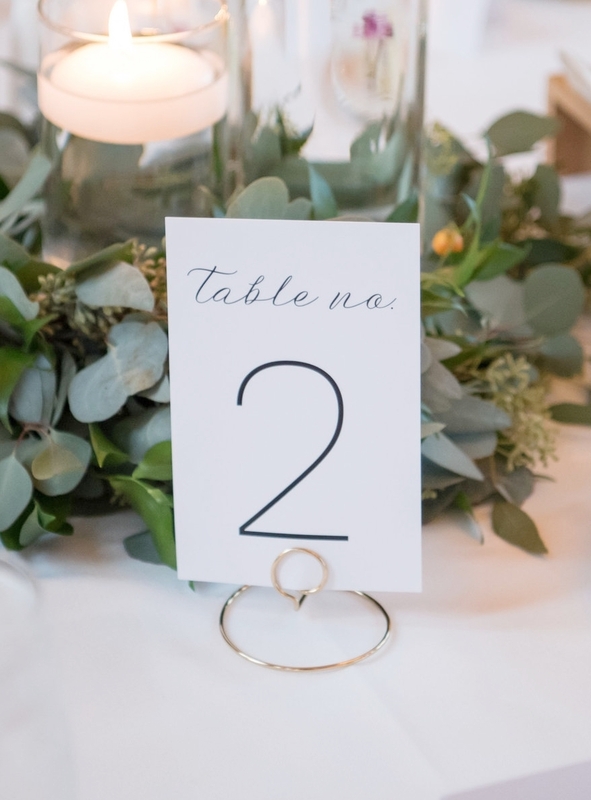 Bring it along when you meet with your vendors: florist, photographer, baker, etc. Please indicate on your inquiry if you're interested in this essential add-on.